In a nation where all professional football clubs are required to be owned by the shareholders (they should at least own 51% of the club), Alex Ryssholm and AFC Eskilstuna are a thorn in the side. As is the case in the German Bundesliga or anywhere there’s a 50+1 rule (referred to as the 51% rule in Sweden), there is always someone who’s willing to bend the rules as much as possible for their own gain. Like Malm? FF, Djurg?rdens IF or ?rgyte IS, AFC Eskilstuna are also owned by the shareholders, but not in the same sense. 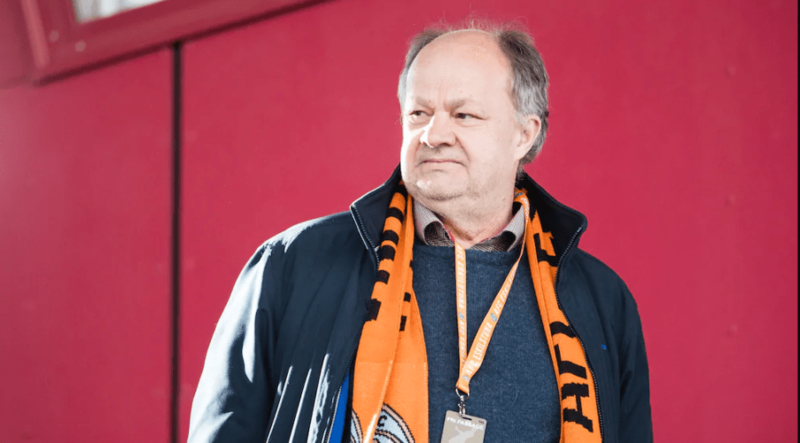 The man behind AFC Eskilstuna, Alex Ryssholm, came to Sweden from the Soviet Union in 1989, just two years before the collapse. Ryssholm was born in Rostov-on-Don, on 23 April 1958. Ryssholm is the name he took when he moved to Sweden, and his former surname is unknown to the public, but his Russian forename was Aleksey. Ryssholm spent most of his early childhood in a boarding school. Sometimes his mother brought him home for the weekend, sometimes not. His father, plying his trade as a sergeant in the Red Army, was never really around. During his teens the family moved to Leningrad, better known as Saint Petersburg today. He focused on architecture in school, until he realised it wasn’t for him and joined the army at the age of 18. He was stationed in the Karakum desert for one and a half years in what today is known as Turkmenistan, before returning to Leningrad in 1978. Many of his fellow young comrades ended up in Afghanistan just after he left the army, and many of them never returned. Back in the city, Ryssholm enrolled for a law degree at the university. When he was 21, the MVD handpicked him from school to become a police sergeant in a department working against organised crime. He became the youngest operative boss in the Leningrad police force at the time. His main task revolved around hunting down members of the notorious Soviet mafia, who were especially prominent during the era of Glasnost and Perestroika during the 1980s. According to Ryssholm himself, the 80’s in Russia were “crazy times”, and he, his colleagues, friends, and family was not unfamiliar with threats and violence. In Leningrad, there was an attempt to kidnap his four-year-old son Max. Even after trying to break away from the underworld by moving to the Caucasus to become a corporate lawyer, his former enemies were still present. They searched his house on occasions, and showed that they’re never far away. At the end of 1989, he had reached a breaking point, it was time to get out of the Soviet Union. It was not only because of the stressful environment, Ryssholm also didn’t want to align with the agenda that he was required to follow when working in the police force, and by all logic, he could not see a future in the Soviet environment. His daughter Olga stayed in the east, and presumably also his first wife. Olga was found dead on a train from Saint Petersburg to Moscow in the spring of 2000. The reason of her passing remain unclear. Olga was only 18 years old at the time. Ryssholm was at first heading for the United States, but a layover in Sweden made him change his mind. Soviet officers moving abroad wasn’t exactly something that happened every day. Hence, rigorous background checks and questionings were put in action, and in the end the Swedish Security Force (S?po) gave him a permission to stay. S?po stated that everything they could verify about his background was accurate, however, not everything was possible to look up. No surprises though, considering who he worked with and in which country. In Sweden, Ryssholm went straight to business. While many oligarchs or other bourgeoisie in Russia during the ’90s went for state assets, Ryssholm wasn’t in the same position to acquire wealth. However, he did use the breakup of the Soviet Union to his advantage. During his first years, he helped companies like Scania, Spendrups and Volvo establish themselves in the Eastern Bloc. In 1994 he founded his own company, Busmarket Sweden, who primarily exported used buses and trucks to Eastern Europe and the former Soviet states. His company has been fairly successful throughout its 20 years of existence. However, he has made lunch money compared to the likes of Abramovich or Rybolovlev, but decent enough to fulfil his dream and help children. During his childhood he lived, to use his own words, like a streetkid at times, and his project AFC Eskilstuna is a way to give something back. Some people with money prefer to live a flashy lifestyle, but Ryssholm prefers to pour his own into a football academy. Ryssholm found football through his stepson, who played for a local junior team in Stockholm. In his stepson’s coach, an 18-year old who worked at a fast food joint, he saw something that impressed him. The coach, Hamid Kabodvand, dreamed of becoming a world renowned manager in the future. Supposedly Ryssholm saw himself in Kabodvand, ambitious and hardworking. Ryssholm was also fascinated by the joy that football brought to kids around Stockholm. He wanted to provide opportunities for the talented kids, and so Athletic FC Academy was founded in 2007 as a private company. In the beginning, Athletic FC offered extra training sessions to kids who wanted to do more exercise outside their regular football teams. More and more joined the individual training sessions, led by Kabodvand and other coaches, and so their own youth teams started to take shape. Those aged 16 or older formed their senior team, Athletic FC in Division 3 (5th tier). But a spot in a 5th tier team isn’t enough to motivate talented young players. And by a coincidence, a financially struggling team in the 3rd tier came in as a handy opportunity for Ryssholm. By taking over V?sby United in 2012 by bailing them out of a horrible financial situation, Ryssholm now also had a team in the Swedish 3rd tier. The club was then based in V?sby, a suburb north of Stockholm. V?sby United was a merger of V?sby IK (established as W?sby IK in 1924) and FC Café Opera, founded by Alessandro Catenacci, the owner of Nobis AB. Nobis run a couple of famous Stockholm restaurants, including Café Opera, hence the name. As a curious fact for all quiz lovers, I can inform you that Lennart Johansson, the former UEFA president, happens to be involved in Nobis as well. The Swedish champions have lifted Lennart Johansson’s trophy since 2001. Both V?sby IK and FC Café Opera played their last seasons in either the 2nd or 3rd tier before the merge in 2005. The new name was V?sby United, and they started the 2005 season in the Superettan (2nd tier) but didn’t really establish themselves and the following season they were also relegated. They went up for three seasons until they once more were relegated in 2010. The yo-yo-vibes from the previous clubs were engraved in the merger as well. The first two seasons with the club’s new president Ryssholm were disastrous, considering their main objective to gain promotion. In 2012, V?sby United finished 11th in Division 1 Norra (the 3rd tier in Sweden consists of a southern and northern group with 16 teams each), and in 2013 the renamed AFC United finished 10th in the same group. AFC United contracted ?zcan Melkemichel as their manager, who first became famous for pushing Syrianska FC up the league pyramid all the way to the Allsvenskan (1st tier) with minimal resources. This was in retrospect a brilliant move since they ended the season at the top of the table, three points clear of another small club from the region, IK Frej T?by. Ryssholm’s dream of the Swedish first tier was now only one promotion away. Despite a more upbeat tone revolving performances on the pitch, some controversies were going on behind the scenes. Already in 2013, Swedish football magazine Offside wrote about AFC. Some of the players at the club only earned around 2,500 Swedish krona per month, roughly ￡250. Even though housing was included, that’s far from the Swedish minimum living standard. Most of the players who had housing included in their pay lived in barracks close to where AFC had planned to build a training centre for the club in Viby, Sollentuna, north of the Swedish capital. But the local authority refused to grant Ryssholm and AFC a building permit for his nine acres of land. At one point in the 2013 season, the club’s sporting director suggested that the players earning more than 10,000 per month (roughly ￡1000), should lower their salaries to 10,000, otherwise Ryssholm would file for bankruptcy. The salary discussions went back and forth with mainly four players: Richard Jonsson, Haris Laitinen, Alagie Sosseh and Sebastian Senatore. In the end, the players left the club with three month’s salary each as compensation. All four had Allsvenskan experience before joining AFC. A club with this kind of antics could probably be better placed in Russia, rather than Sweden. Just a few years later, in 2014, the club moved for the first time to Solna just outside of Stockholm, more commonly known as the home of AIK. AFC settled down at Skytteholm, just a stone’s throw away from R?sunda, the now demolished former national stadium and home of AIK. Furthermore, in 2015 the Swedish state betting monopoly Svenska Spel stopped all objects with AFC involved due to suspicion about fixed matches. Svenska Spel made the decision on a report by UEFA and the Swedish FA (SvFF). In 2016, AFC finished second in the Superettan to gain their first promotion to the Swedish top-flight, the Allsvenskan. However, Skytteholm didn’t fulfil the criteria for a top-flight stadium, and AFC was once again moved to another city. This time the circus called AFC was unpacked in Eskilstuna, just under 100 kilometres west of Stockholm and Solna. But things were looking better for now, a decent stadium in a city that hadn’t hosted an Allsvenskan team since the middle of the 20th century. They also signed a cooperative agreement with the local club, Eskilstuna City to gain traction in the local community. Eskilstuna City played one Allsvenskan season in 1925/26, and have more or less stayed in the fourth tier for the last decades with a few exceptions. So, maybe a city hungry for top-flight football could be the turning point for AFC? AFC’s first and so far only season in the Allsvenskan was horrendous. It took them 15 rounds to gain their first win, and except for the away fans the stadium was barely half-filled. Only the matches against the three Stockholm clubs were sold out, mostly because of the away following. Once Russian based player Emmanuel Frimpong was brought in as a “star signing”, though he left the club having only made 10 appearances. Former Anzhi midfielders Sharif Mukhammad and Abdul Razak also graced the pitch for AFC, as did former Rubin goalkeeper Alireza Haghighi current FC Ural winger Othman El Kabir. In 2018, AFC had a surprisingly good season in the Superettan. Many teams have struggled after getting relegated from the Allsvenskan in recent years, but AFC finished 3rd after Helsingborg and Falkenberg, securing a spot in the promotion playoffs against Brommapojkarna. Despite losing the first leg, AFC turned the tie around at Brommapojkarna and are now back in the Allsvenskan. Surely AFC will do better in 2019 than they did in 2017, but the biggest question is how long Ryssholm will still continue with his project. 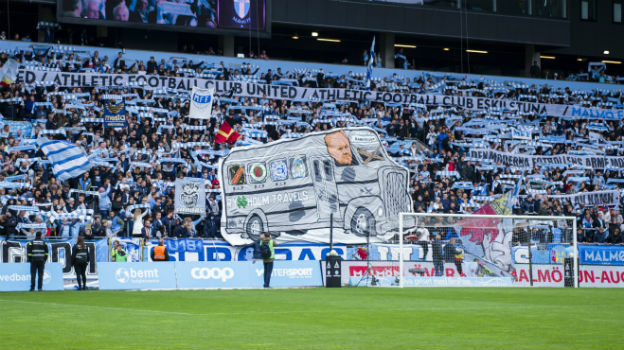 At the moment it seems that he’s not letting it diminish that easily, however, on 26th November 2018, Fotbollskanalen reported that the club owed around 2.5 million kroner to the Swedish Tax Authority, so the club finds themselves firmly in the spotlight once more.